We bought some luggage today from a house call. Not an estate sale because the owners were very much alive, in their nineties and moving from a big house into a condo. They still drive to cottage most weekends. 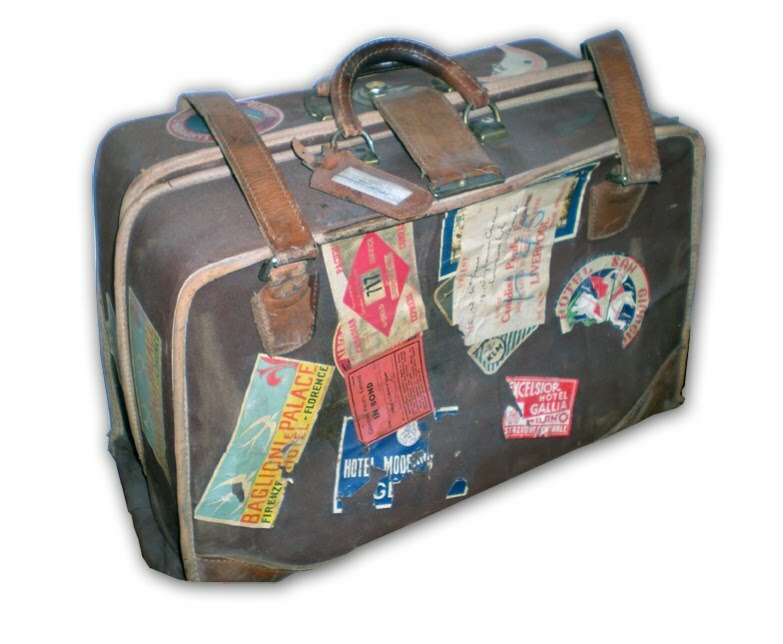 Husband was a business man, wife a pediatrician, very active, lots of luggage, trunks etc and this flight bag was his from WWII, when he was a naval lieutenant. It's going to take a few trips to get all of what we bought. I don't think any of the luggage will be for sale, we'll use it for rentals.